I have been visiting St. Barths every summer for the last 11 years. Most of the times, I have stayed at hotels, as I like the convenience of the full service and the all-inclusive amenities. My first time to the island (back in 1997) and the last few years, have I consistently stayed at private homes. I must admit that I am loving more and more the commodities and the privacy I get from the villas while making them my own little heaven within paradise! Last year I stayed with friends at Villa SIB BOR, which was wonderful. This year, I wanted to go on my own with just my partner. I also wanted to try a different villa, although still within Point Milou, as it is my favorite local area. I contacted Bethany at WIMCO who has always been extremely helpful to me. I asked her about Villa SIB DKD and she said I would like it - I actually loved it. It was smaller than SIB BOR, yet cozier. I very much enjoyed the simple, smart design, the modern and a bit funky layout (it has 2 levels) and the comfortable furnishings. The whole house opens up to a great pool and amazing views from every corner. Nevertheless, it still provides complete privacy. I was left out of words when I arrived and during the whole stay. It was just perfect and I didn’t want to leave. My favorite things about “living” in Point Milou are strolling up and down the hills bordering the cliffs in the early mornings, and watching the gorgeous sunsets at the pool while sipping a very dry martini with soft music playing in the background. Every day and every time both things remind me of how fortunate I am to be able to visit this wonderful and spectacular place and also how beautiful life is. I get to breathe peace and exhale gratitude and appreciation. 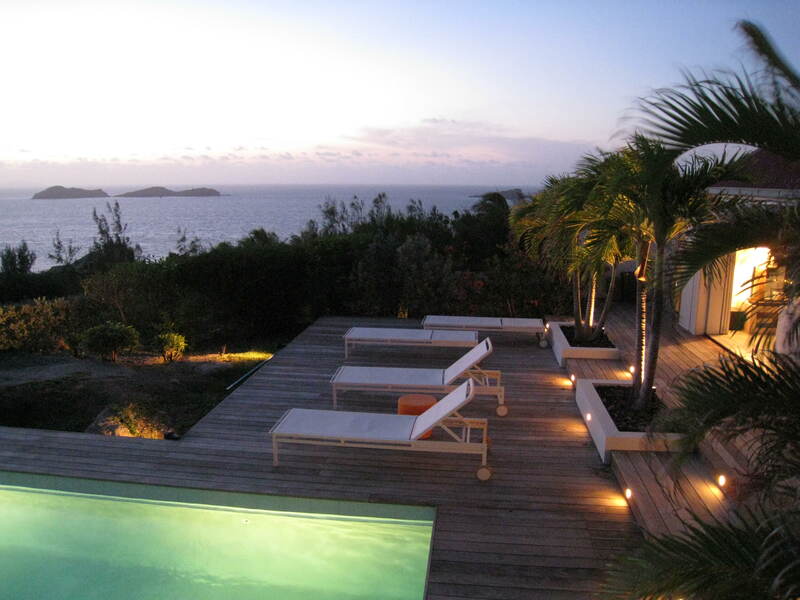 Villa SIB DKD provided the most perfect setting for all of my St. Barths rituals. The island itself is as beautiful as ever. This year it was “quieter” than other years, which I expected due to the economic “turbulence” in the world. 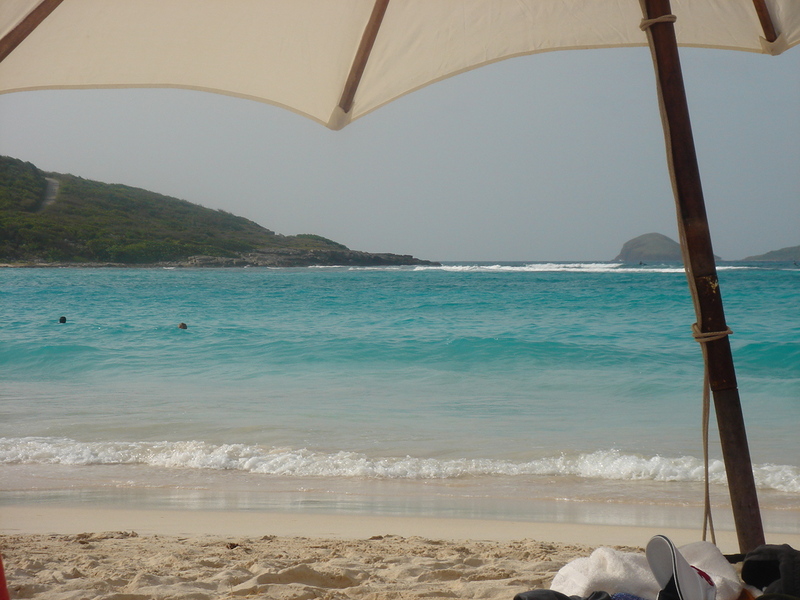 However, since I go to St. Barths to disconnect and to relax, to me it looked even more beautiful. I also love the feeling it allows me of “getting lost” and away from the crowds. I always have the options to socialize or not, to stay in or go out, depending on my mood. For food I go to all my favorite places. I have lunch at Le Bouchon and JoJo Burger with the locals, at Maya’s To Go and La Plage with the “beach-bummers”, and at Isle De France and Le Sereno with the “jet-set” and the ocean views. I have deliciously satisfying dinners at Maya’s, Le Saline, The Strand, Eddy’s, Le Sereno, Le Ti St. Barth and Le Gaiac. While in St. Barths I also love walking around Gustavia at least twice during my stays. Visiting the stores for a few treats and saying hi to friends I have made over the years, like Bruno at Carat, always make me smile. As for relaxation, sunbathing during a weekday afternoon at the beautiful Saint Jean beach makes me feel like I am on the Mediterranean. Yet the best are the quick passing and very brief rain showers that usually occur during the early mornings and evenings. The fresh feeling they leave and the sweet sound they make, bring back lots of memories that remind me that I must come back again.